A Divided America Gave Us the Problem of a Donald Trump Presidency. Integration is the Solution. I’m Kelly Bare, mom of two all-white, half-Jewish, half-lapsed-Catholic children. As I write, they are in third grade (boy, a recently declared vegetarian) and Kindergarten (girl, “born to dance”), and they both love martial arts, basketball, Cupcake Wars, and their school, Brooklyn Arts and Science Elementary School, aka PS 705, a place to which they are palpably, passionately attached. They love what they’re learning, and how, and with/from whom (students are teachers here, too, and vice versa), and the dance parties and movie nights, but really they just thrill to the whole vibe, far greater than the sum of its parts. In New York City, where all quarters are close and there’s often more than one school per building—in our case, there’s a charter school upstairs—you come to see very clearly that a school is not made of bricks and desks and chairs, it’s made of people. 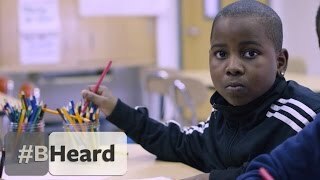 This video, which features my dear friends Sandra Soto (our visionary principal), Kibibi Oyo (our indispensable, inexhaustible parent coordinator), and Erica Svec (fellow mom), shows quite clearly the stuff of which we are made. There are many stories to be told about PS 705; this one highlights our fight to preserve our diversity in a time of rapid gentrification, a fight we are determined to win.